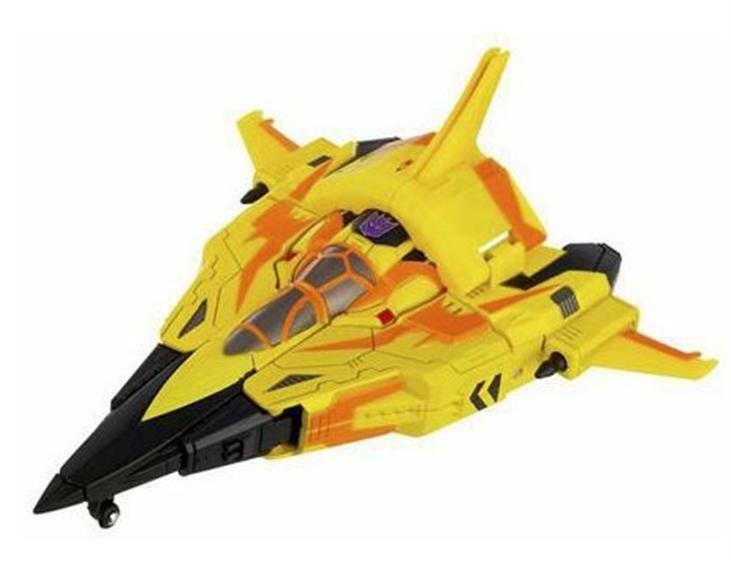 Deep within the laboratory of the DECEPTICON genius SHOCKWAVE, SUNSTORM languishes in a sealed cryogenic regeneration chamber. His body covered in rare electrum to protect him from the furious energies boiling from his internal fusion reactors and his mind held in stasis lock he is fierce potentiality held barely in check. 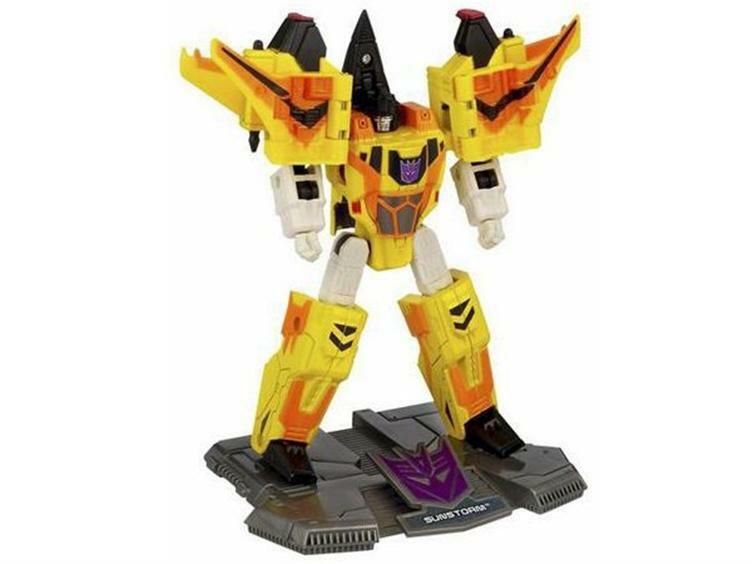 Though SUNSTORM is a clone of the famous air warrior STARSCREAM, SHOCKWAVE has made a number of modifications to his systems. His weapon systems have been upgraded to take advantage of the huge amount of energy produced by the twin tokamak reactors spinning in his torso, each arm cannon delivering the force of a small nuke with a single shot. 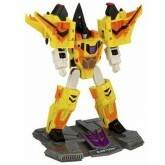 His mind has been simplified, streamlined, and stripped of the extraneous ego and ambition that so cripples STARSCREAM. He is a pure creature, built the way all TRANSFORMERS would have been had SHOCKWAVE been their designer. He waits, silent and still, for the stimulus that will drive him into action. 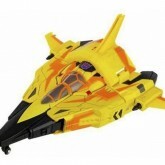 Sunstorm (War Within) toy information. 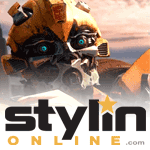 Sunstorm (War Within) parts information.